One of Namecheap’s top priorities is providing secure and trusted web solutions. Our latest project has been upgrading our version of cPanel for web hosting users. This new version (11.62) requires an SSL certificate installed for all new domains, subdomains, and addon domains. If there is no SSL Certificate associated with newly added domains, cPanel will self-sign an SSL Certificate and install it. SSL Certificates are a standardized form of encryption for websites. They are mostly used to secure credit card transactions, logins, and data transfer, but are becoming increasingly commonplace on social media sites as well. Using an SSL also means data is secure between servers and could even help your Google SEO ranking. Google rewards sites that are more secure. You can learn more details about SSLs in a previous blog post. Ultimately, our move towards implementing SSLs will help your site be more secure for your users, and therefore a more inviting place to do business. What if I don’t want to buy an SSL? We understand that, even with the first year completely free, you may not want to get an SSL from a Certificate Authority. In this case, cPanel will assign you a self-signed certificate for free. Self-Signed SSLs are not issued by Certificate Authorities, but they offer the same level of encryption for your customers. However, because they do not use the standard and verified encryption, they are not trusted by web browsers, and so won’t display the padlock symbol next to the URL. 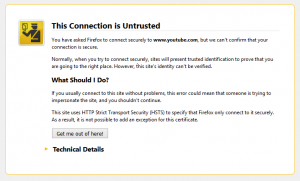 Users may also get a warning message saying that the certificate is not trusted. For more information, we offer additional technical details. You can still benefit from this offer by signing up for one of our brilliant shared hosting packages. Awesome news namecheap n thanx for all your great deeds and great work for all of us. How about we old customers? Existing customers can get a free SSL on their shared hosting account if they register a new domain. 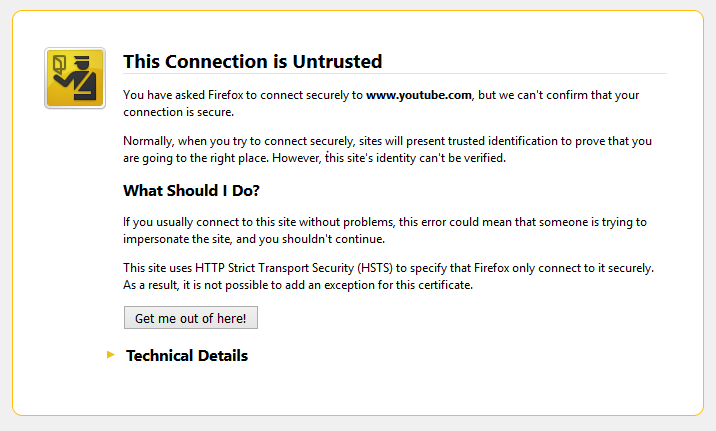 Using a self-signed certificate can make the site less-trusted because of the warning from the browser. Good works. Keep supporting customers. I moving over from Godaddy to Namecheap. I have over domain names and so far I love Namecheap. Very easy to use dashboard and their customer support is freakin awesome! Simply awesome! Thank you! No company would offer FREE POSTIVESSL and not just one but 50. Some company can only offer auto install of LetsEncrypt but not here, namecheap do better in all aspects. If I buy value package under Shared Hosting. Can I get SSL certificate for 1 year free? My website [redacted] is currently hosted on Namecheap, how do I buy authorized ssl certificate? Please refer to our Knowledgebase article to see if your website qualifies for the free SSL mentioned in the article. Otherwise, we offer a number of different SSL options to choose from. Does that also include and ssl protection for both outgoing and incoming emails? The SSL certificate may be used on qualifying websites. Please see https://www.namecheap.com/security/ssl-certificates/comodo/positivessl.aspx for more information. I am an ‘old’ customer, I understand if I register any new domains (they would be addons) they will come with a free SSL certificate. Also I’m allowed up to 50 SSL certificates. Is there a way to apply a free certificate to old addon domains? For instance if I buy a new domain, and get the free SSL, could I apply for the rest of my addon domains to get free SSL as well? Thanks for the question. I just checked with our customer support team, who tell me that certificates are added to new domain/subdomain/addon domain names automatically. They can also add the certificates to `old` domain names manually. If you would like more assistance with that, just reach out to our team by going to https://www.namecheap.com/support.aspx . Like right thanks Name Cheap for all the saving and offerings to get us started… (Really quick one question !!! Where can I find my SSL or certificate on my Name Cheap cpanel hiow do I get there I forgot? hi, can i use my own certificate after the free cert expires? or I do need to use the cert that I buy at your site? You are free to use any SSL certificate you like. How get free domain name with hosting pcakges? This offer is for a free PositiveSSL certificate (under certain conditions). You may read more about this offer on our Knowledgebase. Great service and always top support. Thank you. When will AutoSSL be available to give give Namecheap customers free certificates through Let’s Encrypt (letsencrypt.org)? Most hosts now offer Let’s Encrypt and AutoSSL to cPanel users as standard. Thanks for your feedback. Let’s Encrypt can be installed on our hosting if you have a Let’s Encrypt SSL certificate, the CA Bundle, and Private Key (for shared hosting). Let’s Encrypt can also be installed through CertBot (for VPS hosting and dedicated servers). It’s also possible to enable AutoSSL on our VPS and dedicated servers. However, at this time AutoSSL indeed cannot be used on Reseller or Shared hosting plans, for which we offer free 1-year PositiveSSLs. If you need assistance with our SSL options, please contact Customer Support. On signup and using of shared hosting, with my existing domain ,that will be .pk. I wil get free ssl ? If you qualify for the free SSL as detailed in the article, you would be eligible to use the free SSL. If you have further questions, please reach out to our customer support and they can assist you further. Do I get the HTTPS and Padlock icon with the free positive SSL? What company issues Positive SSL? All SSL certificates give your the secure website indicators and HTTPS. Please see our article on choosing SSLs to make the right choice for your site. Hello during renewal of our hosting package, will the SSL continue or we are to renew the SSL package too ? Hi there! If you received a free PositiveSSL with your hosting, that SSL is good for one year, and you will need to renew it if you wish to continue to use the SSL. The first renewal should be priced at 50% off the regular price. For more information you can review our support documentation or contact our customer support. Can I use a free Let’s Encrypt SSL with Namecheap hosting? We do not offer Let’s Encrypt SSL certificates, however, all of our hosting servers allow their installation. So you may obtain a Let’s Encrypt SSL and install it on any server with us. I need free Lets Encrypt SSL, do you offer this? We understand that you offer to install AutoSSL on our VPS and dedicated servers. How about on shared hosting plans ? Possible in near future for Stellar Plus or Business ? Hi there. According to our hosting team, AutoSSL is not available on our shared hosting servers. Instead, you might try the Namecheap SSL plugin, which gives you the opportunity to have 50 PositiveSSL certificates for free for a year. The plugin installs an SSL certificate for a domain in a couple of clicks.